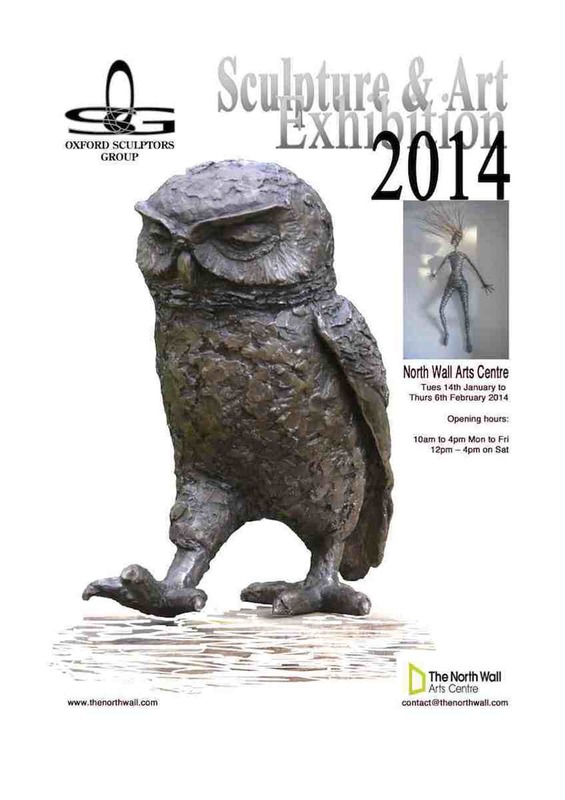 Oxford Sculptors Group at the North Wall from Tuesday 14th January to Thursday 6th February 2014. Following the success of last year’s Sculpture Exhibition by the Oxford Sculptors Group, we are delighted to announce their return to The North Wall. The sculptures and wall hangings will be by both established and emerging artists, giving an insight into the creative pursuit of each individual. The eclectic mix of styles and mediums utilise wood, stone, steel and bronze, thus providing a large and diverse collection including animals, the human form and abstract art. This will be a good investment opportunity for both new and established collectors and a great chance to own a piece of contemporary art.